Spurlock, Oscar “Bill”, age 74, passed away Sunday, October 14, 2018 at his residence surrounded by his loving family. He was born January 7, 1944 to Oscar and Flora (Hudson) Spurlock in Oneida, KY. 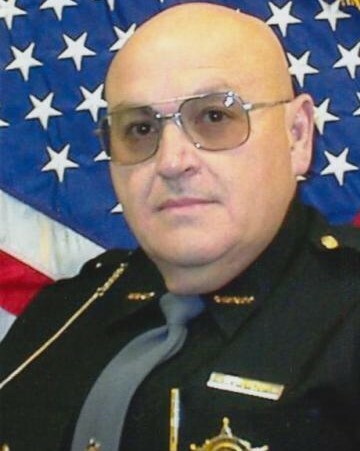 He was employed for 42 years with the Warren County Sheriff Department serving as Warren County Road Lieutenant. He enjoyed attending Jeep shows and was an avid gun collector. He was a member of the Gideon Road Baptist Church, a member of Warren County F. O. P. and the NRA. Bill was a devoted husband, father and grandfather. He is survived by his wife of 31 years, Lanetta Spurlock; children, Robert (Sue) Spurlock of Lebanon, OH, Stephanie (Bobby) Poston of Wilmington, OH, Patrick (Tina) Spurlock of Lebanon, OH, Susan (Mike) Marshall of Lebanon, OH, Lynn (Mark) Hawkins of Middletown, OH and David Henderson of Lebanon, OH; 14 grandchildren and a special aunt, Maude Webb of Somerset, KY. He was preceded in death by his parents. Visitation will be held on Thursday, October 18, 2018 from 5:00 to 9:00 pm at Baker-Stevens-Parramore Funeral Home, 6850 Roosevelt Ave., Middletown, OH. The Celebration of Life service will be on Friday, October 19th at 1:00 pm at the funeral home at the Roosevelt location with Rev. James Anderson officiating. Interment will take place at Lebanon Cemetery in Lebanon, OH. Memorial contributions may be made to the American Heart Assoc., 15120 Collections Center Dr., Chicago, IL 60693. Condolences may be sent to the family at www.bakerstevensparramore.com .